Potatoes are not only the most popular tuber in the world, they are also extremely versatile. They can be prepared skin-on or peeled; whole or cut up; with seasonings or without; and baked, boiled, fried, grilled or roasted. 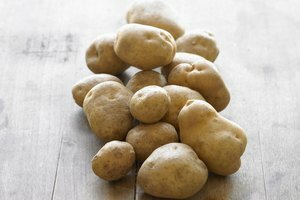 The only common requirement is cooking potatoes prior to eating them because they contain 20 percent indigestible starch. 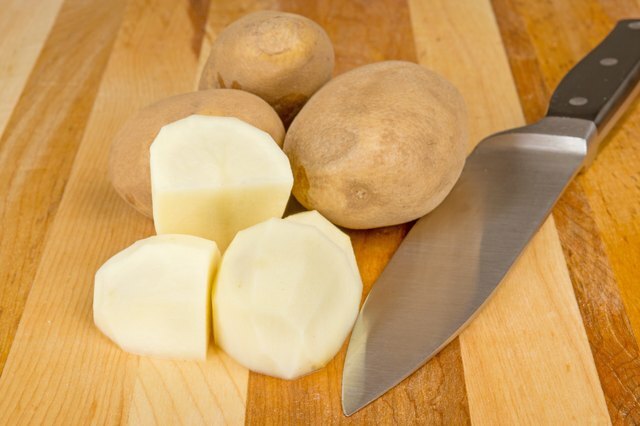 Quartering a potato, which means cutting it into four equal pieces, is one of the easiest methods of cutting potatoes prior to cooking. 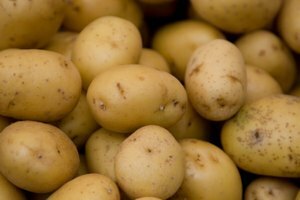 Wash the potatoes under cool water and remove any potato eyes or dark spots with a knife or the sharp tip of a potato peeler. 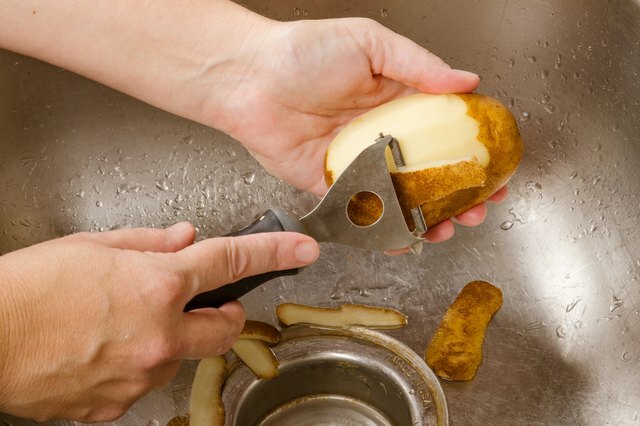 Peel the potato using a potato peeler and remove any dark spots or imperfections. It's not always necessary to peel the potato, especially the smaller varieties, but sometimes you'll want to or the recipe calls for it. If you don't have a potato peeler, you can also use a small paring knife. Immediately place the peeled potatoes in a bowl of cool water. Peeled potatoes can change color when exposed to oxygen, which oxidizes the potatoes and can turn them black. 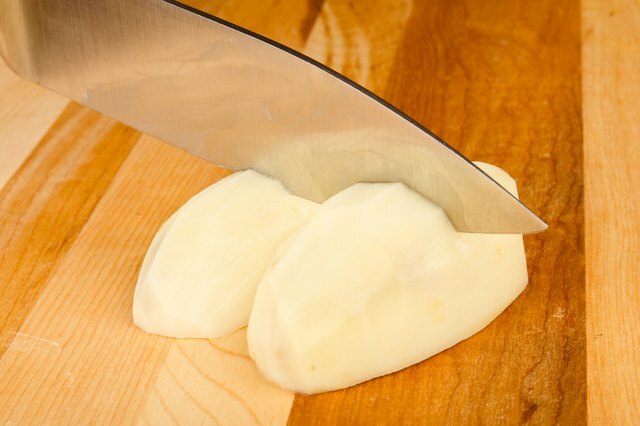 Place the potato on a clean, dry cutting board and, using a sharp knife, cut the potato in half in either direction. Turn the two halves of the cut potato cut-side down, and cut each piece in half again. 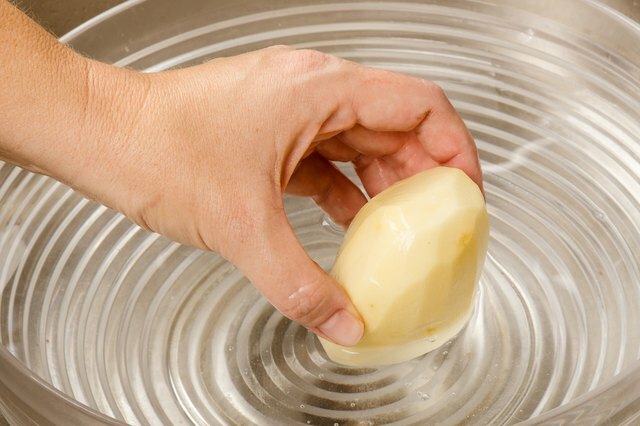 Return the pieces of the quartered potato to the bowl of cool water until you are ready to further prepare them for cooking. 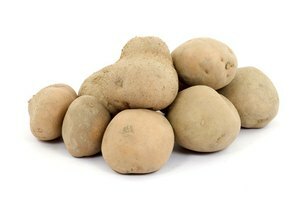 Avoid buying potatoes that have shriveled skins, sprouting eyes, soft spots, blemishes and green spots. 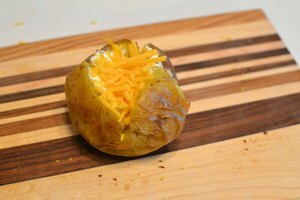 If the quartered potatoes are too large, each piece can be cut in half again as many times as needed to reach the desired size. Whenever you are using a knife, always use your dominant hand to hold the knife and cut away from your body. Keep your fingertips tucked under the knuckles and watch the thumb of the food-holding hand.